Remember the camp of your childhood - with canoeing and campfires, arts and crafts, maybe a sport or two? That’s how Aruna Ogale, executive director of the Ontario Camps Association, defines a traditional camp. It has something for everyone, all in a package that's recognizable to parents who were once campers themselves or might have wanted to be. "It’s going to give the children a host of activities. It’s going to be really what parents remember camp being like," Ogale says. "It's for that child who wants to try a little bit of everything." Traditional camps are ideal for kids who aren't focused on a single interest but prefer a wide range of activities. Take Alex, a 13-year-old who has attended Appleby College's day camps in Oakville, Ontario for eight years, sometimes going away for a stint at a residential camp. He likes soccer and dodgeball, but also likes the other activities and the socializing. "Even the counsellors I've made friends with now, because I’ve been going there for so long," Alex says. "And there are probably at least 20 people who I see every year over and over again." Appleby’s Adventure Pursuits day program includes climbing, canoeing and waterfront activities. Campers "get to experience something a lot of kids don’t experience," says Robert Radway, summer programs director for Appleby. 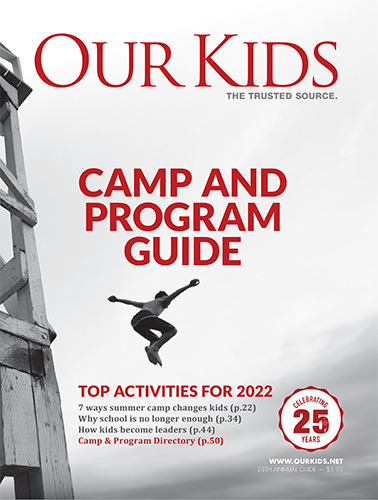 At YMCA Camp Wabanaki, a residential camp located outside Huntsville, campers also experience nature and get back to the roots of the camp experience, says Callum McKee, Wabanaki’s senior general manager. No cellphones are allowed and the setting is more rustic and natural, but that's all just part of the experience, as are canoeing, campfires, archery, swimming and crafts, he says. "Everyone paints that traditional camp in a different light because they all have different experiences," says McKee. "It's a great opportunity to explore and do new activities."